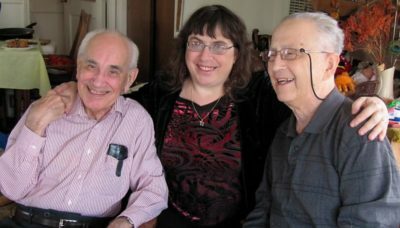 Two Holocaust survivors, one a young Jewish boy, the other a Catholic teenage Polish Resistance fighter, would meet years later as professors at KU and form a strong friendship. The story of Lou Frydman explores the Holocaust and his eyewitness account of Jewish resistance in the concentration camps. 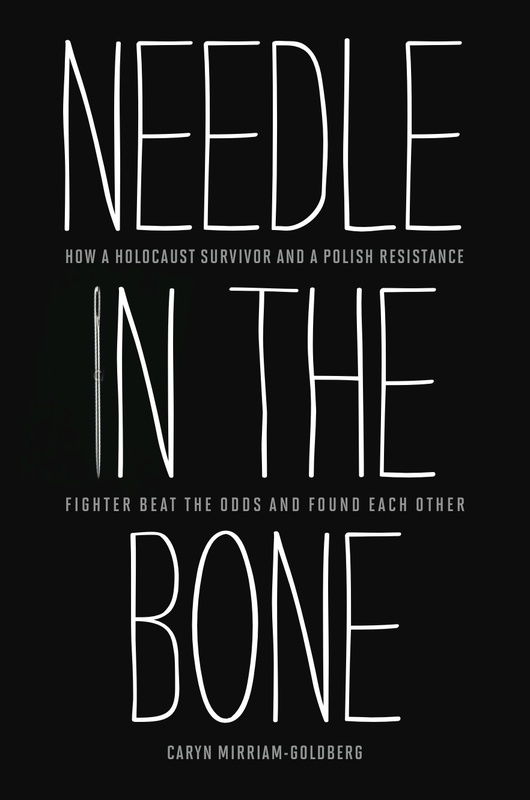 Jarek Piekalkiewicz’s story as a Polish Resistance fighter illustrates the mistakes, triumphs, history and organization of the Polish Resistance-the most effective underground movement to challenge the Nazis. We’ll also discuss what it means to lose not just one’s family, but one’s whole community and way of life, and the subsequent challenge of creating a new life in a new land. Registration and fee required. More info. here. 7 p.m., HutchinsJustice Theater, Shears Technology Center, Hutchinson, KS. 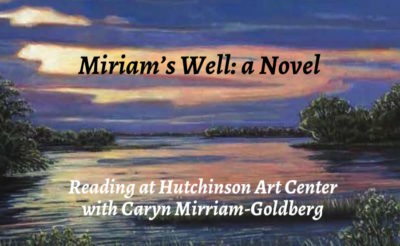 Join the 2009-13 Kansas poet laureate for a special program, drawing from her new novel Miriam’s Well: A Modern Day Exodus, about finding our purpose, place, and people. An astonishing cook and singer, Miriam has a knack for showing up to feed and help people at at landmark events, including People’s Park during the Summer of Love, the Wounded Knee encampment in South Dakota, the AIDS epidemic in San Francisco, the Oklahoma City terrorist attack, 9/11, and Hurricane Katrina. 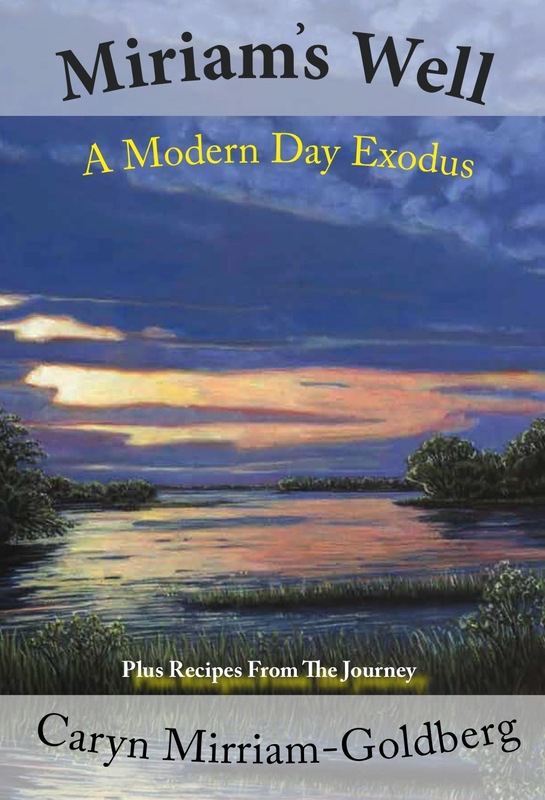 As she seeks the promised land, she shows her people, and eventually herself, how to turn the chaos and despair of our times into music, meals, and miracles. 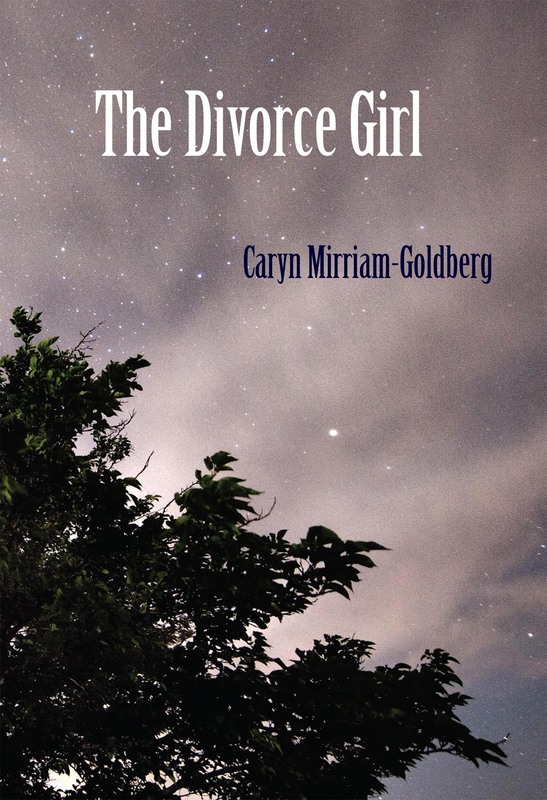 In addition to a reading from the novel, Caryn will talk about Midrash, finding new meaning in our most sacred stories, and answer any questions you have. Earlier in the day, Caryn will visit a creative writing class at Hutchinson Community College, which is sponsoring the reading along with the Hutchinson Art Center. A Humanities Kansas Program: When it comes to weather, Kansans have a lot to say, and for good reason. Not only is weather on the High Plains some of the most dramatic in the world, but it also shapes how those living in the region see themselves. This presentation opens with storm chaser Stephen Locke’s vibrant images of weather, paired with poetry by Kansas writers inspired by the drama that unfolds in the sky. Audience members are encouraged to share their weather-related stories and images as part of short writing exercise intended to spark discussion about the natural forces that influence our lives and shape our world. Photo by Stephen Locke. Have a project – a book, an essay, a story, a poem, a song or two – that you need time and support to work on or finish? This one-day writing retreat can help you find your voice, groove, and direction, plus get a fresh perspective and some strong writing done. Come to a peaceful place where you can write in concert with others doing the same. 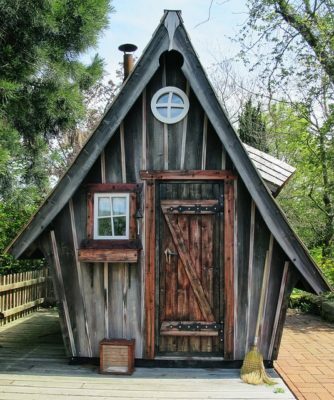 Our lives offer us ample material for poetry, which we can envision as a poetry playhouse: writing about family in the living room, food and sustenance in the kitchen, dreams in the bedroom, memories in the basement, and ancestors in the attic. In this innovative workshop, drawing on an ample handout with writing prompts for all the rooms of our poetry playhouses, we’ll explore the power of original images and strong rhythms to bring a poem alive, how to work with lines and forms, and touch on ideas and approaches for revision. Where you’re a seasoned poet looking to spark your writing or someone drawn to explore the power of poetry, you’ll find ample inspiration, ideas, approaches, and a welcoming community in this workshop. Details here. Join us Sunday, May 19-24, 2019 for six days of immersing yourself into your creative spirit in the heart of the Flint Hills near Council Grove, KS. This is a great retreat for writers (of poetry, fiction, drama, non-fiction, journalism, memoir, etc. ), or musicians of any kind, or anyone who wants to start writing and/of making music. Mornings are devoted to writing, songwriting and singing workshops (no experience necessary); afternoons for relaxing, wandering, getting a massage, creating art, music and writing; and evenings for inspiring performances. White Memorial Camp is on a peninsula in the middle of Council Grove lake, surrounded by hills and sky. Click here for more information. Brave Voice 2019 is sold out; to be placed on a waiting list and to learn of other Brave Voice events, please contact Caryn. 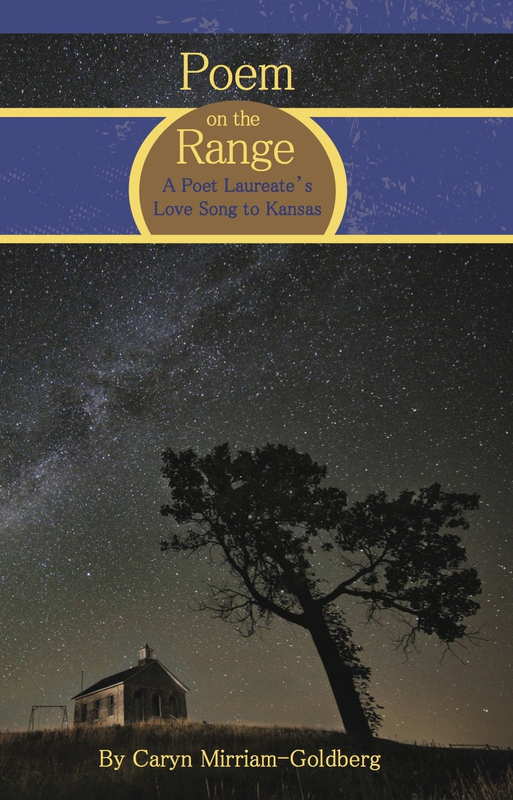 Join Caryn Mirriam-Goldberg as she teams up with poet Joy Roulier Sawyer for a reading of ecstatic and down-to-earth poetry about Kansas and other states of being. 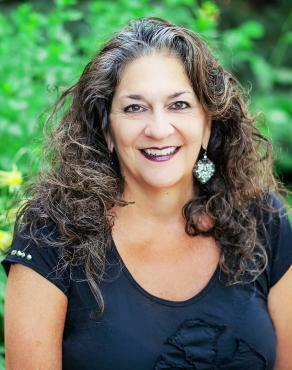 Joy is the several nonfiction books, she’s also published two poetry collections, Lifeguards (Conundrum Press) and Tongues of Men and Angels (White Violet Press), and is a recent Pushcart Prize nominee. 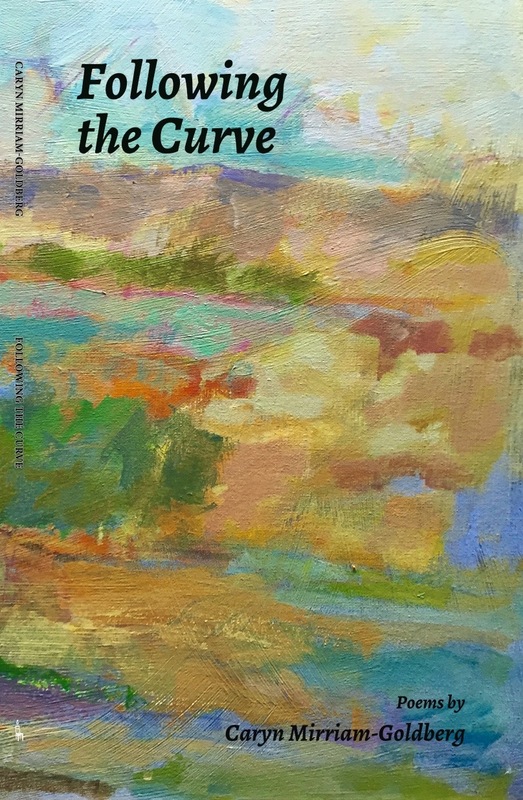 Caryn will be reading from her poetry collections Chasing Weather, Following the Curve, and her forthcoming collection, How Time Moves. 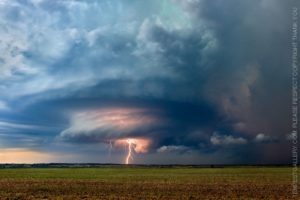 When it comes to weather, Kansans have a lot to say, and for good reason. Not only is weather on the High Plains some of the most dramatic in the world, but it also shapes how those living in the region see themselves. 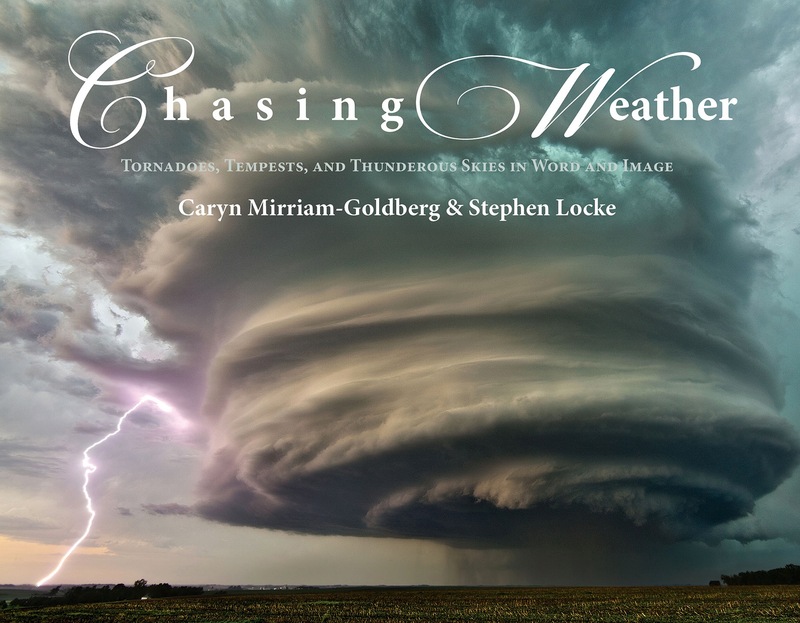 This presentation opens with storm chaser Stephen Locke’s vibrant images of weather, paired with poetry by Kansas writers inspired by the drama that unfolds in the sky. Audience members are encouraged to share their weather-related stories and images as part of short writing exercise intended to spark discussion about the natural forces that influence our lives and shape our world. Online class you can do from wherever you are! Want to immerse yourself into poetry you may already love or will get to fall in love while also generating a lot of new poems of your own? This six-week class (through the Transformative Language Arts Network) leads you on a journey through sparkling poetry from many contemporary and and some more ancient poets from across America and around the world, including Rumi, Mary Oliver, Adrienne Rich, Sharon Olds, Tomas Transtromer, Seamus Heaney, Wislawa Szymborska, William Stafford, Pattiann Rogers, Rainer-Maria Rilke, Tess Gallagher, Audre Lorde, Jane Hirshfield, Simon Ortiz, and Gregory Orr. Each week features two or three of the poets, including a sampling of their poetry, links to articles and interviews, plus writing tips on the practice and craft of poetry and lots of opportunities to share our work and grow our body of writing. 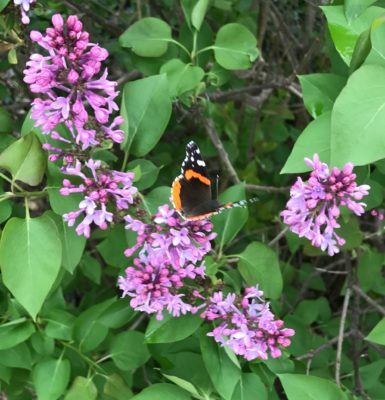 Join a Writing Workshop: Caryn bi-monthly retreats for people living with serious illness (as patients or caregivers) through Turning Point in Kansas City, wild weather workshops through the Kansas Humanities Council, and many other offerings. More here. 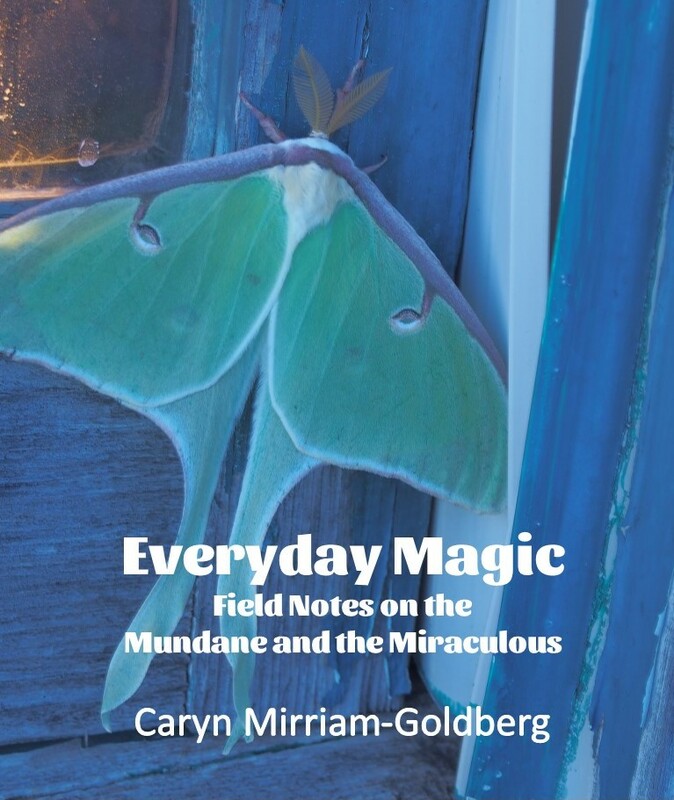 Read Caryn's Words in Everyday Magic, her blog, essays and interviews, and books of poetry, fiction, memoir, and anthologies. 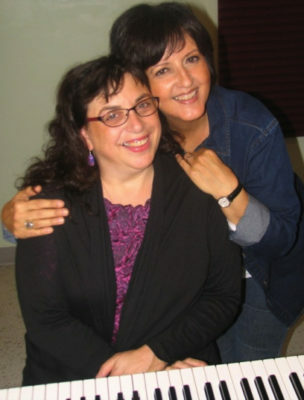 Bring Caryn to Your Community: Have Caryn present a workshop, talk, reading, or collaborative event in your community. More information here. Come to an Event: Caryn teaches classes through the Osher Institute, leads talks and book discussions through the Kansas Humanities Councils, and speaks, reads, and meets with people widely. See more here. 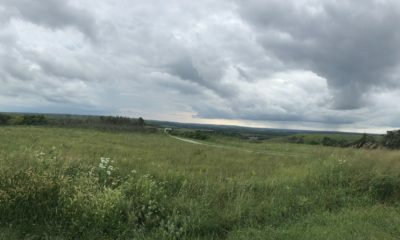 Find Your Brave Voice: Join Kelley Hunt and Caryn for their annual Brave Voice: Writing & Singing for Your Life retreat each May in the glorious Flint Hills of Kansas. More here. 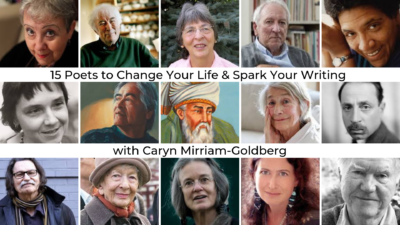 Coach with Caryn: Caryn offers coaching on writing, the writing life, and right livelihood. More here. 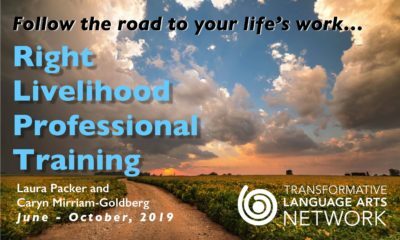 Create Your Own Right Livelihood Through the Arts in the Transformative Language Arts Network's Right Livelihood Professional Training with Laura Packer and Caryn, launching June - October, 2018. More here. Earn Your MA at the Goddard Graduate Institute where Caryn and other fine people teach, guiding students in self-designed, low-residency (study from your home community, and attend two week-long residencies each year) degrees in Transformative Language Arts, Health Arts & Sciences, Social Innovation and Sustainability, Consciousness Studies, and Individualized Studies. More here.